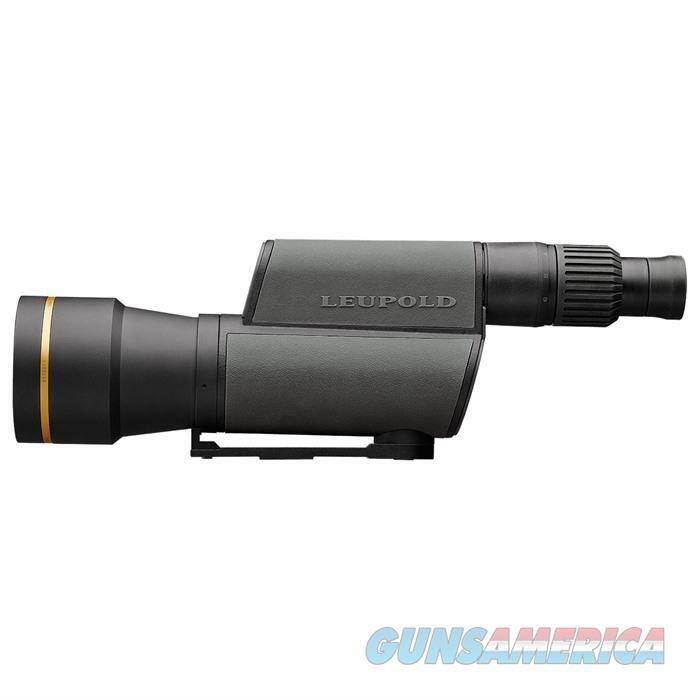 Description: Leupold 120377 GR 20-60x80mm Titanium Gray MOA The Leupold? Gold Ring? 20-60x80mm Spotting Scope delivers a high magnification, incredibly bright, high resolution image across a wide field of view, all with best in class eye relief for easy, full field viewing with or without eyeglasses. The prism-less Folded Light Path (FLP) system uses mirrors to compress a long optical system into half its length. The magnesium housing make this high powered optic lightweight and extra rugged. Available with The Impact Reticle, providing an MOA scale in the front focal plane for fast and accurate shot calling and trophy measurement on any magnification.